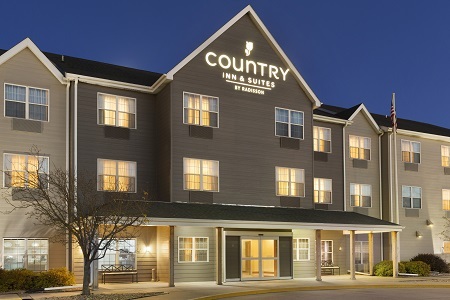 Situated off I-80, the Country Inn & Suites® by Radisson, Kearney, NE is the perfect place to take a break after a long interstate drive. While you’re here, you can visit Kearney’s iconic Archway and catch a concert at the Viaero Center. Our hotel is less than three miles from the University of Nebraska at Kearney, where you can tour the campus and watch the Lopers play. Looking for an outdoor adventure? Hike the lovely trail just outside the hotel’s entrance. If you’re in town from March to mid-April, be sure to visit nearby Rowe Sanctuary for the famous Sandhill Crane Migration. Need additional room for the family? 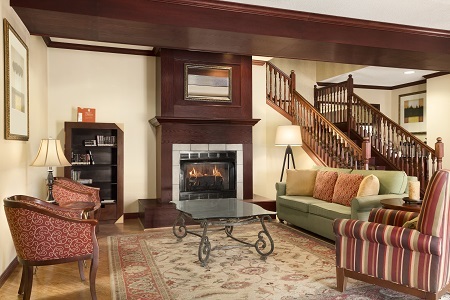 Reserve one of our Executive Suites to enjoy a private bedroom and a separate living area with a sleeper sofa. 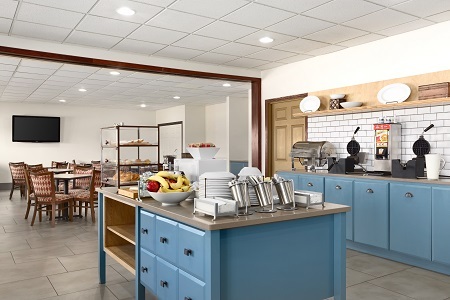 Start each morning with coffee, pastries and fresh fruit from the complimentary, hot breakfast. You can also choose from a selection of hot items, including bacon, French toast and our popular omelet station. 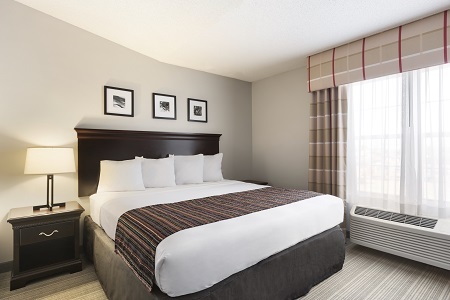 We’re within walking distance of several excellent restaurants, including Old Chicago Pizza & Taproom and Red Lobster. Whiskey Creek Wood Fire Grill serves tasty fire-grilled entrees only half a mile from the hotel. University of Nebraska at Kearney – The UNK campus is less than 10 minutes from our hotel, making it easy to attend Lopers games at the Health & Sports Center. You can also tour the on-site G.W. Frank Museum of History and Culture, which is listed on the National Register of Historic Places. The Archway – Stretching 310 feet over I-80, The Archway is a unique museum, less than three miles away, that tells the story of early pioneers. After you explore the exhibits, navigate your way through the TrailBlaze Maze, a 4,800-square-foot labyrinth. Viaero Center – Less than five minutes from the hotel, the Viaero Center is home to the Tri-City Storm hockey team and the Nebraska Cranes basketball team. The center also hosts trade shows, concerts and conventions throughout the year. 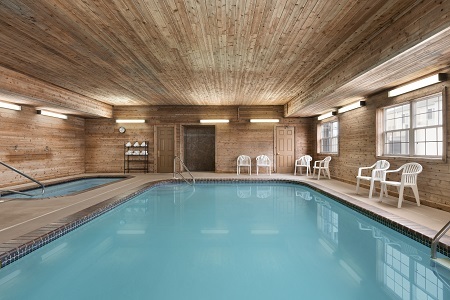 Host a business conference, bridal shower or family reunion in the flexible meeting space at our Country Inn & Suites. The charming dining room can be reserved anytime after breakfast and arranged to your specifications. Our professional staff can help you arrange every detail—from setup to off-site catering—to ensure that you have a flawless event. If you’re planning a wedding reception, be sure to ask about available discounts.